Russia's hybrid military forces attacked Ukrainian army positions in Donbas 19 times in the past 24 hours, with one Ukrainian soldier reported as wounded in action (WIA), according to the press service of the Anti-Terrorist Operation (ATO) Headquarters. The situation in the ATO area somewhat escalated last night as the enemy intensified its attacks significantly in the Donetsk sector after 18:00. The militants fired at Ukrainian strong points near the Avdiyivka's industrial area, using various types of grenade launchers, heavy machine guns, and small arms for several hours. Ukrainian soldiers suppressed enemy attacks. As a result of the fire confrontation one of Ukraine's defenders was wounded about 18:00. The ATO strongholds came under machine-gun fire three times, while those near the villages of Maiorsk, Zaitseve, and Nevelske were attacked twice. Read alsoPoroshenko at UNSC: "Today we need UN's peacekeeping shoulder" (Video)Over the past day, the invaders once again demonstrated their disregard toward civilian population. Being aware that the Maiorsk checkpoint works until 18:30, the militants once again resorted to a provocation, allowing about 20 cars with civilians pass through their border checkpoint. 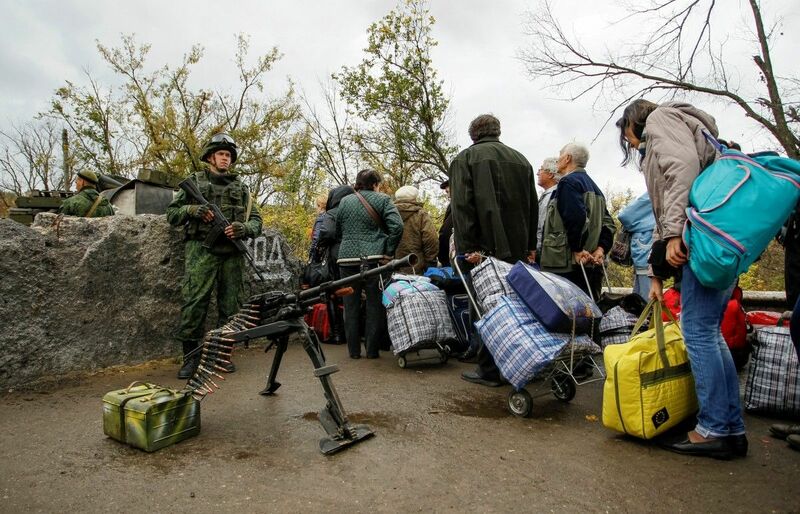 Consequently, people who tried to enter the territory under Ukraine's control became hostage to the situation. At the same time, militants opened fire at Ukraine's positions at the site. Civilians, including the elderly and women with children, found themselves in a crossfire and were forced to flee and seek refuge at the positions of the Ukrainian military. The Joint Center for Control and Coordination (JCCC) and OSCE observation mission were immediately informed of the provocation. However, despite the fact that the militants denied claims of ceasefire violations near the Maiorsk checkpoint, they started shooting again in five minutes. Read alsoDonbas militants violate truce 23 times in past day, Ukraine army responds to every 2nd shellingThe Ukrainian military evacuated the civilians to a safer location to protect them overnight. The provocation clearly demonstrates that militants neglect the security and life of civilians and cynically violate the truce. In the Mariupol sector, the Russia-backed militants fired fourteen 82mm mortar rounds near the villages of Pavlopil and Shyrokyne, while the invaders used a heavy machine gun on the outskirts of Vodiane. Read alsoUkraine's president sees Russia as biggest threat to international securityThe ceasefire was observed in the Luhansk sector in the past 24 hours. The ATO forces returned fire to every second attack.